While austerity measures left the population in precarity, losing access to their basic rights, immigrants have been increasingly scapegoated. This November 6, Stand up to Racism is organising a public meeting to oppose the rise of xenophobia. Europe is experiencing an increase in Islamophobia. 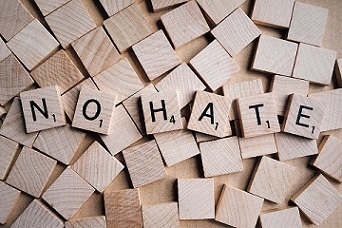 This attitude is reflected in the racist actions organised by far-right activists, but it has also been normalised by the media and the Internet. The latest European Islamophobia Report stated that most Islamophobic actions start online and then materialize offline. In the case of Poland, even if the Muslim community comprises only 0.1% of the population, it still suffers from racist attacks. For example, last year, a Muslim cultural centre in Warsaw was vandalised by two men in hoodies, Al Jazeera reported. Also, last year, the Polish Independence Day in Warsaw was used by the European far right, fascists and neo-Nazis to promote racial hatred, white supremacism, as well as Islamophobia, Anti-Semitism, and anti-refugee propaganda. 60,000 people who were members of fascist groups from across the continent joined the 2017 rally. During the march, people were holding banners saying, “White Europe, Europe must be white” and “Pray for Islamic Holocaust”. For this reason, anti-fascists in Scotland are alarmed that this year the Polish Independence Day will be used again to spread racist messages of hatred. In order to show their support, Stand up to Racism-Scotland is organizing “Solidarity to anti-racists in Poland! Oppose the far right”. The organizers explain that “before the Polish general elections were won in 2015 by the nationalist Law and Justice party, the rally participants vandalized streets and attacked representatives of the press who reported the events”. According to the press office: “since the nationalist government took power, such far right gatherings are protected by police forces against anti-fascist counter-protests, and the rally is officially supported by the Polish government and by the president, who annually sends letters of support to its participants”. Additionally, they point out that “across Europe, in countries such as Greece, Germany, France, Hungary, Italy, Sweden and here in Britain bitterness at austerity has been manipulated into scapegoating refugees, migrants, Muslims and Jews. If unchecked this tactic of divide and rule will have tragic consequences both for the victims and those who fall for it”. 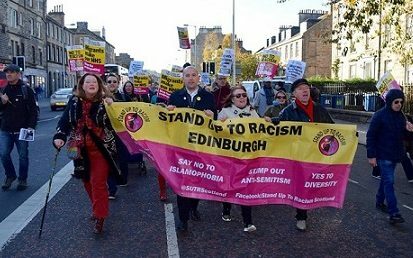 Stand up to Racism-Scotland also mentioned that “experience in Britain has shown that by exposing the threat for what it really is, and mobilizing the large numbers who are against it, the tide can be turned”. “Solidarity to anti-racists in Poland! Oppose the far right” will take place on Tuesday, 6 November, from 7 pm. to 8:30 pm. at the Leith Community Education Centre, 12A Newkirkgate, EH6 6AD Edinburgh, United Kingdom. For further information, please visit Facebook event.